The Uptone Girls masterfully combine tender vocals and modern style in their latest mashup of "Faded/Don't Let Me Down." 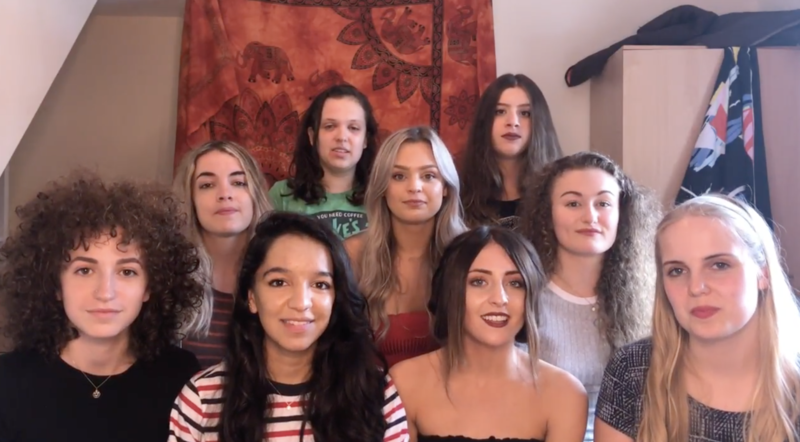 The all-female a cappella group from the University of Birmingham gives audiences a performance that's both personal and hip in the three minute long video, which features Alan Walker's "Faded" and The Chainsmokers' "Don't Let Me Down." The group settles for a more stripped down version of Walker's "Faded" which is big on emotion through the group's emphasis of soft, yet full chords and gentle tones. The Uptone Girls switch things up as they seamlessly transition into "Don't Let Me Down" which really adds life to the performance with the lead's trendy rap and the arrangement's energetic layering. It is in the latter half that the group's personality really shines through. The mashup is an exciting one that allows you to feel the full force of this vocal pop band. You can check out the performance in the video below.